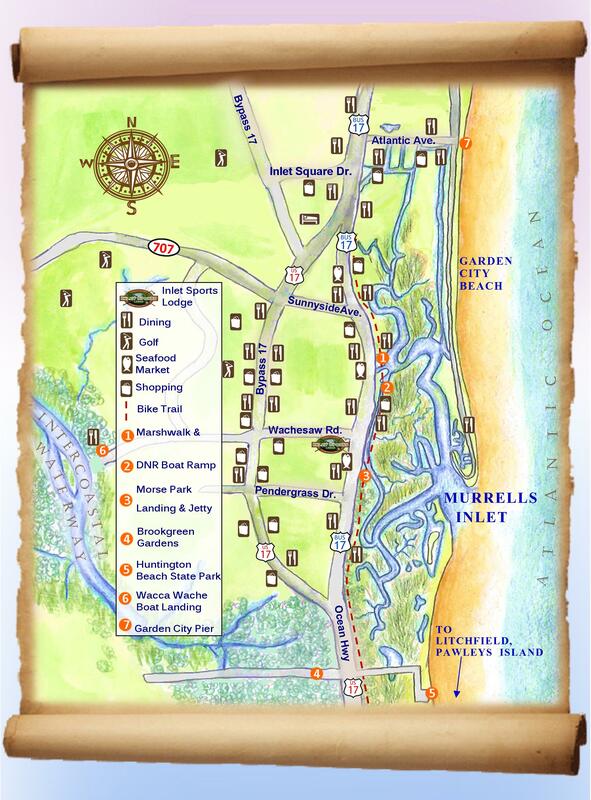 Join an exciting day of entertainment, exhibitions, children's activities, seafood and over 100 arts & crafters held creek-front in Murrells Inlet. Blessing ceremony at 11:30 a.m. Come early and stay all day. This two-day Art Festival (9:30 a.m. - 4:30 p.m.) provides an opportunity to talk with local and regional artists and authors. This event showcases the fine craftsmanship and quality art being produced regionally and throughout the nation. In addition to the display and sale of arts, media demonstrations by artists are featured. Booths are located on grass and/or concrete/brick. Enjoy evening concerts under the oaks at the Brookgreen Gardens Summer Music Festival. Wednesdays, Thursdays, Fridays, and Saturdays at 7:00 p.m.
Bring a chair, grab a spot, relax and enjoy some of your favorite music. Featuring local favorites including Tru Sol, Sea Cruz Band, The Paul Grimshaw Band, The Fourclosures, and more. Witness the Grand Strand’s largest aerial fireworks show, the Annual Fourth of July Fireworks on the MarshWalk. At 10 p.m. the sky will fill with colors of red, white, blue and beyond for incredible, awe-inspiring 20-minute + firework show. Be sure to get down to the MarshWalk early to snag yourself a good parking spot. There will be live music at surrounding restaurants before the show begins! Come out and relax before the show with a delicious meal and cocktail at one of the dozen MarshWalk restaurants! July 5th – Come out and lend a hand for the Inlet Clean Up! The MarshWalk Group includes the following restaurants: Bovine’s, Wahoo’s Fish House, Drunken Jacks, Catfish Johnny’s, Creek Ratz, Dead Dog Saloon, The Claw House, and The Wicked Tuna.